Review Fix chats with Led Zeppelin 2 drummer Ian Lee who discusses what makes the band the best LD cover band in the world, as well as how their current tour is going with The Australian Pink Floyd and how they found out that Metallica’s Kirk Hammett is one of their biggest fans..
Review Fix: How did you guys get together? Review Fix: What Makes Led Zeppelin so special to you guys? Lee: For me it’s the POWER of the band. Music today is so polished and practiced and every move is so perfectly calculated that there is no soul left in it. The magic of the songs, the intricate compositions, the raw talent of those 4 dudes, the lyrics that sparked our imagination. Those elements are all key. But the fact that they were delivered with such incredible conviction is what sets them apart for me. They were the ultimate in total self-confidence. Like they knew they were going to fill stadiums before anyone ever even thought about filling stadiums. That power is what I feel when I listen to Zeppelin. That’s what’s missing in today’s music. It’s why we all started playing our instruments. It’s at the core of why each of us are musicians. So it’s very personal. Review Fix: How’s the tour going? Lee: Amazing. The Australian Pink Floyd was the one “tribute band” we were aware of when we started doing this and they are the gold standard of what can be done in this field. No question the biggest band of our kind on earth. The package is an obvious value for the fans of classic rocks biggest bands: Pink Floyd and Led Zeppelin. A no brainier. So playing in these huge sheds and arenas has been personally eye opening in the sense that Zeppelin music translates perfectly into this setting. The music and our orientation to it were made for arenas, we feel very comfortable. The shows are going amazing with standing ovations and screaming girls and all that fun stuff. It’s our version of 1973.
Review Fix: How does it feel to have the support of Kirk Hammett? Review Fix: What are your goals as a band? Lee: Basically to represent Led Zeppelin music in the way that it’s meant to be represented. On a huge scale. We take the music very seriously, but we don’t take ourselves very seriously. We felt the only name for our band was Led Zeppelin2 because it’s the only way to communicate that cocky power that Zeppelin delivered. It may sound silly to say that we fully intend to create a touring rock show that is as big and ballsy as the ‘70s Zeppelin touring machine, but the truth is, the world needs it. The fan response proves it to us every night. People need this music to be played live. We feel very lucky to be able to bring happiness into people’s lives. We really view this show as continuing a tradition of live music where people come together to hear the music that gets them through their days. We like our shows to be “events” for people. When parents bring their kids to see us and they share in our Led Zeppelin experience it really proves to us that live music is one of the most import things in our world. 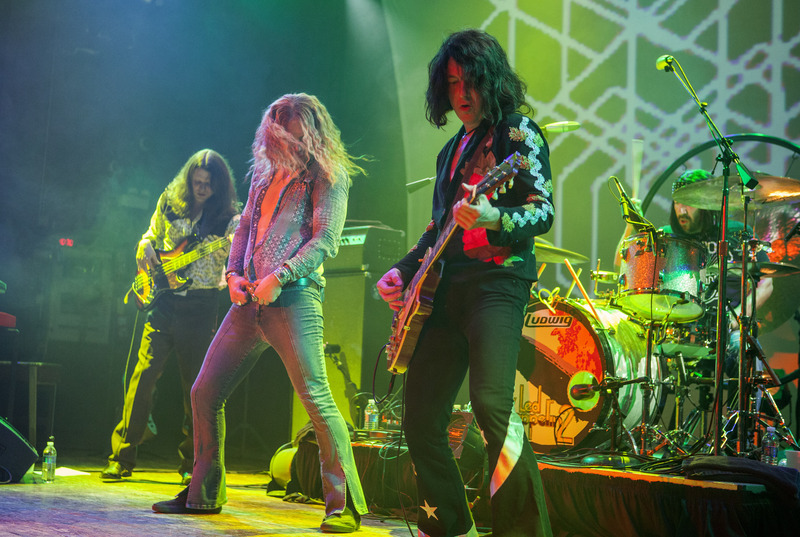 Review Fix: What makes you guys the best Led Zeppelin cover band? Lee: We feel our strong suit is that we deliver the power. I really can only speak for what we feel we do best and I feel we deliver the music with the power which is inherent in the music itself. We feel the original recordings are perfect documents, so we don’t shoot for that. If you want to hear a perfect rock show, go see Taylor Swift. If you want to experience the power of ‘70s Zeppelin, come see us. Lee: I’m diggin’ the Mettalica/Zeppelin2 2016 Summer Invasion Tour idea.